However, when you are as dedicated as 16-year-old Monique Rimmer, anything is possible. 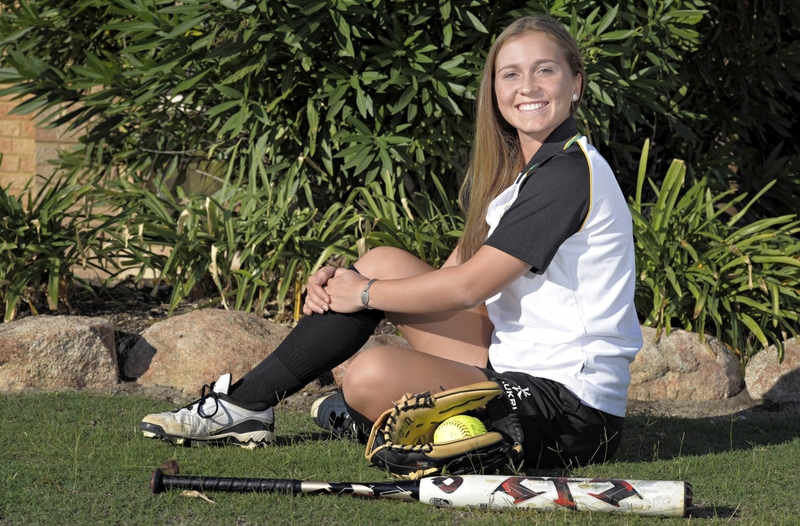 The Comet Bay College student recently represented Western Australia at the State Softball Championships held in Mirrabooka. Monique made the WA State School Girls team. Monique has been playing softball for the past four years and when she is not representing the State, she plays for the Hustlers in Rockingham Districts Baseball Association. During the championships, the youngster was also selected to play in the Australian School Girls Team later this year in Sydney. Monique’s father Drew said everyone in the family was extremely proud of her efforts and were looking forward to watching her grow in coming years. ‘She is doing such a great job for her age and depending on how far she wants to take it, Monique has a very bright future ahead of her,’ he said. Monique trains three nights a week and looks up to her older sister, who is also involved with baseball.